Restaurant The large duty free shop "DFS Galleria Bali" is along By-pass in Kuta. 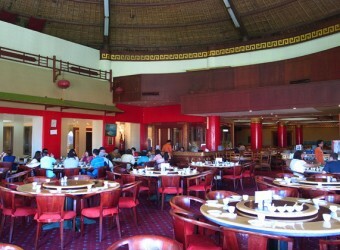 Ema Restaurant is in the store, so you can enjoy duty free shopping and eating delicious Chinese food there. They serve varieties of menu, such as snacks and set menus. Up to 500 seats can have seat and group torists can use it.